By Greg McCracken – DSAT IT and owner of Ocean Quest Dive Centre, Burnaby (Vancouver), BC. The launch of the DSAT TMX 50 program on October 12, 2010 could not have had better timing as I was just about to start a DSAT Tec 50 course with students that I have been training with for almost a year. We began the Tec 50 program in the shallows refining the basics and practicing additional skills working with 2 deco/stage bottles. After 2 days of 2 hour plus practice dives at Whytecliffe Park in 8 Degree C water, it was time to reward ourselves with some actual dives. So the next day we planned our dives. Luckily, logistics worked in our favor so we were able to conduct 2 dives each of the following days. 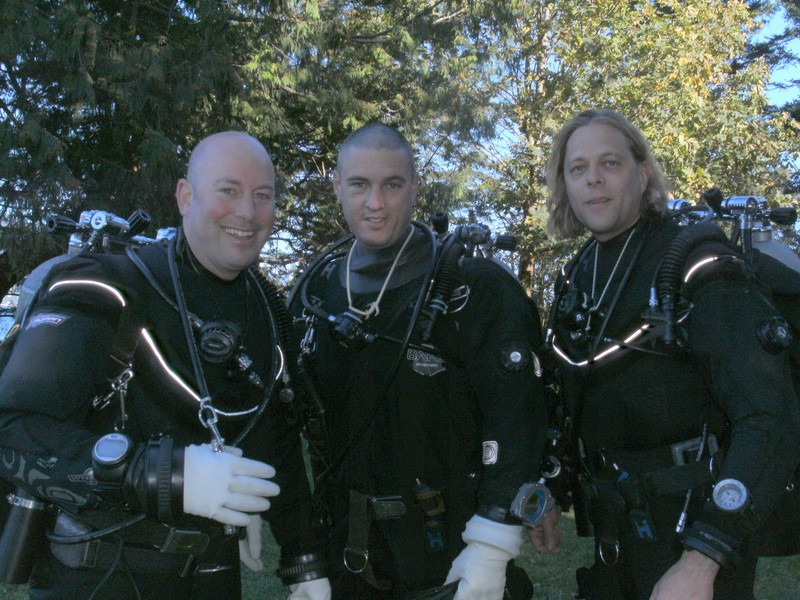 The first day we conducted our dives on one of the deep walls of Whytecliffe Park in West Vancouver. Whytecliff has some unbelievable cloud sponge formations which are also great hiding places for a variety of fish, crabs, etc. The next day we planned a short road trip to British Columbia’s Sunshine Coast a short 40 minute ferry ride from Vancouver. We planned two dives at a site called Tuwanek. Tuwanek is a local favorite due to its consistently good visibility and amazing topography. Although I have been diving at Tuwanek many times, I have only completed a couple of technical dives there. On one of them, we found these deep water Sea Whips at around 150 ft (45 m) so I was looking forward to visiting them again. After checking out the Sea Whips, we prepared for our ascent to the surface. 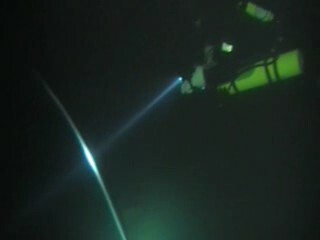 At 150 ft (45 m) we all looked up to discover that we could see the sun glistening at the surface. During the entire ascent, it seemed like we were diving amongst the side of a mountain with drop offs and valleys. For the second dive of the day we dove another at Tuwanek with large boulders, walls full of boot sponges and tons of fish. It was like diving in an aquarium. Two programs finished with a great day of diving. The students were especially excited to have completed their DSAT Tec 50 program as well as being first DSAT TMX 50 certified divers ever. Full Trimix is already scheduled for June 2011.